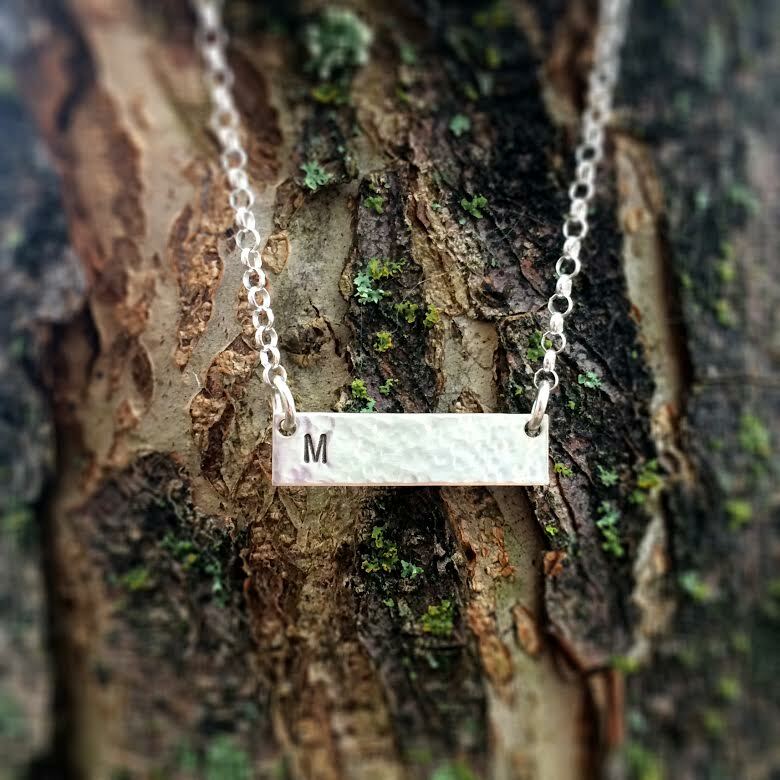 Our classic sterling silver rectangle is flipped on it's side for this popular horizontal bar necklace. We love this look and are seeing it everywhere by itself and layered with other necklaces. We can stamp a special word, date, name or initials on this! Sterling silver chain as shown. Price shown is for one bar, add additional bars for $14 each for a look that is uniquely yours! Please allow up to 2 weeks for your custom order to ship! * Chain Length: -- Option Choices -- 16" 18"